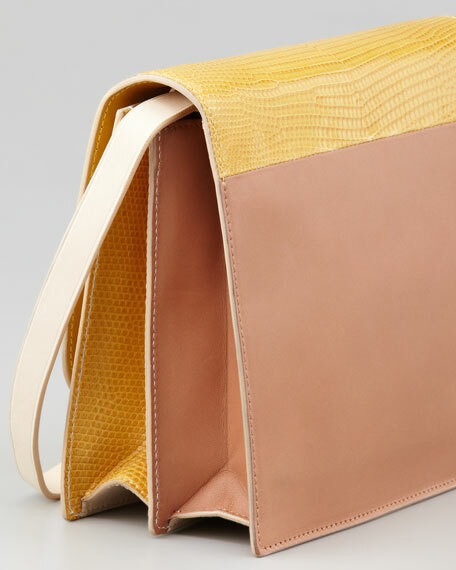 The Classic shoulder bag from The Row lives up to its name in enduring leather and lizard and a minimalist, square design. 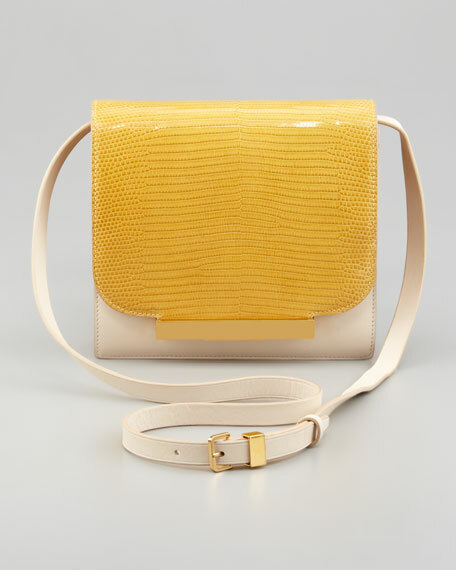 Multicolor lizard and smooth leather; golden hardware. 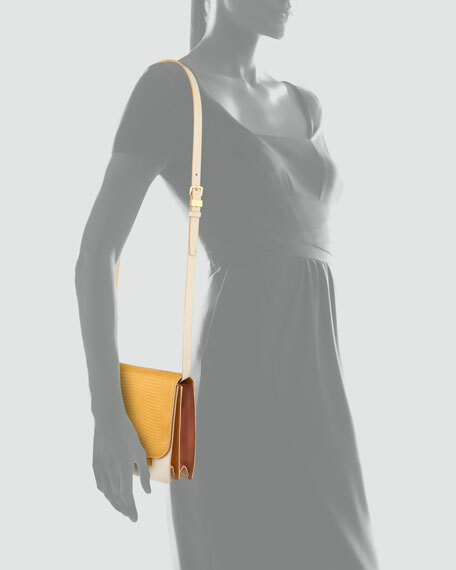 Adjustable shoulder strap, 19" drop. 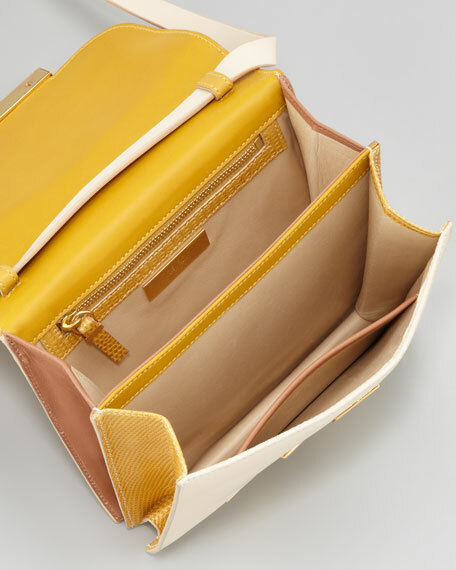 Two interior compartments; zip and open pockets. Hand mirror in mirror sleeve included. 7"H x 7"W x 2" D; weighs approx. 1lb.